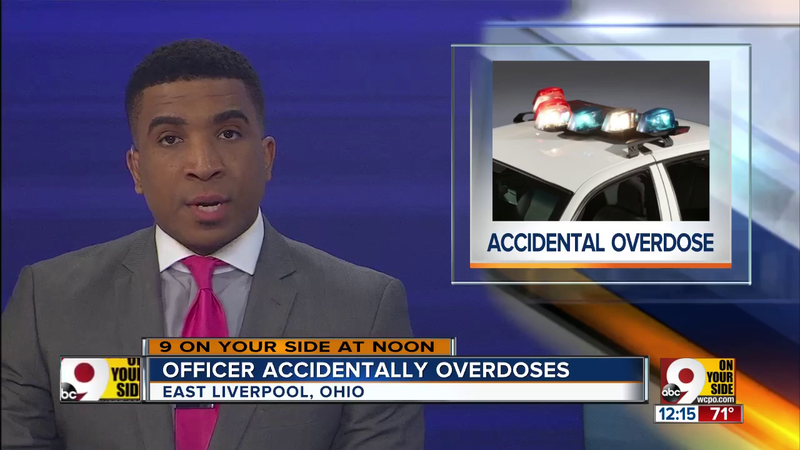 (WCPO9 Cincinnati, by staff reporters) EAST LIVERPOOL, Ohio – An East Liverpool, Ohio police officer is recovering after authorities said he accidentally touched and overdosed on fentanyl seized during an arrest. Green arrested the two men – Buckle and 24-year-old Cortez Collins. 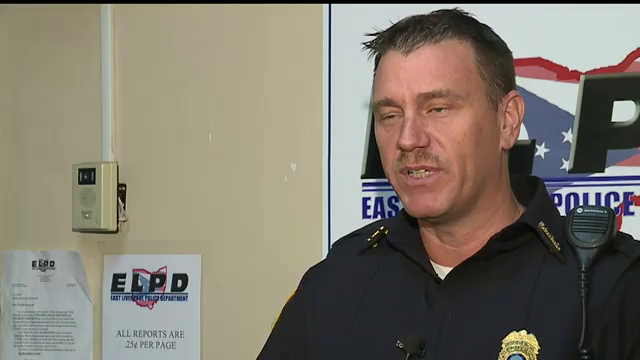 He then followed protocol by putting on gloves and a mask to search the car, Wright told WKBN. When Green got back to his police station, another officer noticed he had some of the white powder on his shirt, Wright said. Green instinctively brushed at the powder while not wearing gloves. An hour later, Green passed out at the station after contact with the powder – which was later determined to be fentanyl. The drug can get into the body just through contact with the skin. “He’s an ex-MMA fighter, 220 pounds, solid muscle and it overtook him,” said Wright. Emergency workers gave Green a dose of Narcan (an opiate antidote) at the station and three more doses at the hospital. Fentanyl is 50 to 100 times more potent than morphine and 30 to 50 times more potent than heroin. Just a quarter of a milligram — a few granules — can kill you. Experts say the effects of fentanyl can be felt when absorbed through the skin or accidentally inhaled, making the drug hazardous to anyone who comes into contact with it. From WCPO9 Cincinnati .com.au. Reprinted here for educational purposes only. May not be reproduced on other websites without permission. 2. a) What is fentanyl? b) How strong is fentanyl? 3. How did Officer Green touch fentanyl? 4. What happened after Officer Green touched the fentanyl without gloves? 5. How was Green treated after he overdosed? 6. 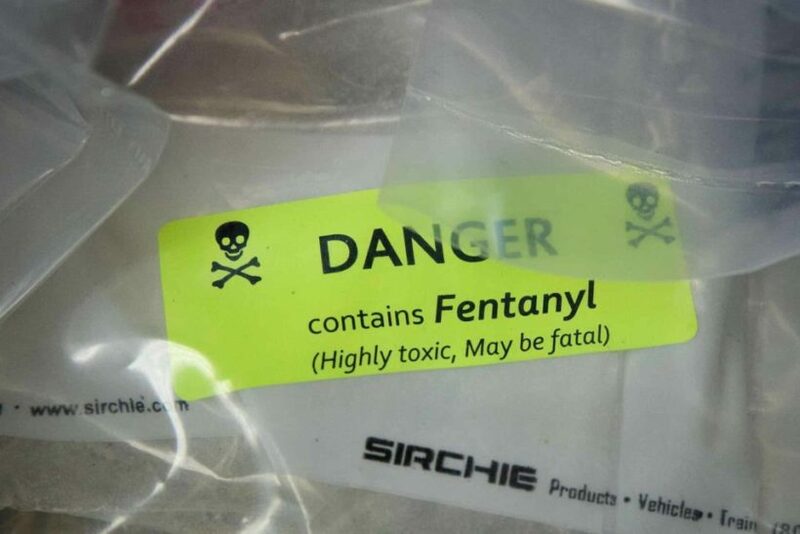 How dangerous do you think the fentanyl epidemic is for first responders (police officers, EMTs, firefighters, police dogs (K9s)? Fentanyl, previously used only as a pharmaceutical painkiller for crippling pain at the end of life or for surgical procedures, fentanyl is now making headlines as the drug responsible for a growing proportion of overdose deaths, including that of pop star Prince. Fentanyl is a synthetic opioid, meaning it is made in a laboratory but acts on the same receptors in the brain that painkillers, like oxycodone or morphine, and heroin, do. Fentanyl, however, is far more powerful. It’s 50-100 times stronger than heroin or morphine, meaning even a small dosage can be deadly. Its potency also means that it is profitable for dealers as well as dangerous for those who use it, intentionally or unintentionally. Increasingly heroin is being mixed with fentanyl so someone who uses what they think is heroin may in fact be getting a mixture with — or even pure — fentanyl. More recently, pills made to look like the painkiller oxycodone or the anxiety medication Xanax are actually fentanyl. This deception is proving fatal. It would be like ordering a glass of wine and instead getting a lethal dose of pure ethanol. While many people don’t know they are getting fentanyl, others might unfortunately seek it out as part of the way the brain disease of addiction manifests itself into compulsively seeking the next powerful high. Every single episode of fentanyl use carries the risk of immediate death.